Back in 2015 I posted three blogs on St. Louis movie theaters of the past & present, as well as one on the African-American theaters of St. Louis. So many of our cool old theaters were built to fit into the neighborhoods. But in the 1950s, TV and affordable air conditioning came in homes and many of the cinemas closed. The buildings were either repurposed or razed. In the case of the Shaw Theater on Shaw Boulevard and 39th Street, the building was spared as it found new life as a drug store and eventually a corner market. It's last iteration was a combination of businesses including a small Salama Market and a pager shop along 39th St. Thankfully, this former "eye sore" was not razed leaving another vacant corner lot. So many other neighborhoods have simply destroyed building when the most recent use or clientele did not please the neighborhood. Here's a little background on the building when it was a theater. The Shaw Theatre opened in 1915 as part of the Arthur Theatres chain (Franchon & Marco) and seated 1,140. Located in the Shaw neighborhood just four blocks from the Botanical Gardens. A single floor theatre with and plain front. Rather large lobby for a small neighborhood theatre. I went straight to the Central Library to try to corroborate the German movie thing. The St. Louis Post-Dispatch microfilm had no such evidence in 1957-1960. At least, they didn't advertise in the movie section. 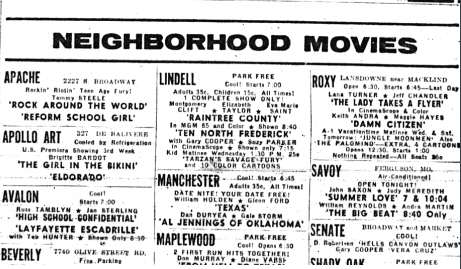 By 1958 the drive-ins and larger theaters were popping up and the smaller theaters were considered "Neighborhood Movies". Shaw was not listed in 1958. 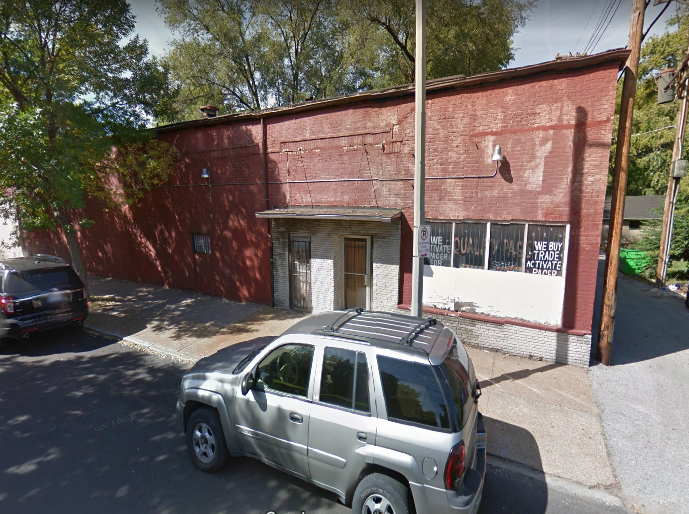 So again, it's fortunate that the Shaw neighborhood didn't advocate for demo when Salama Market became an eyesore and a problematic property/business. Because it is important to remember our past and old cinemas are just cool. So you can imagine the joy we experienced seeing the new overhang and "ticket booth" out front along Shaw Boulevard. What a great nod to the history of the building. And notice the old Salama Market entrance toward 39th St. was bricked in. We travel this route routinely and have had fun watching this one take shape. The exposed interior ceiling was also a joy to see. The new use of this building is an event space called Wild Carrot. They have some fantastic photos of the renovation on their website. You can tell the owners love this place. I wish them nothing but the best. What a great historic renovation.